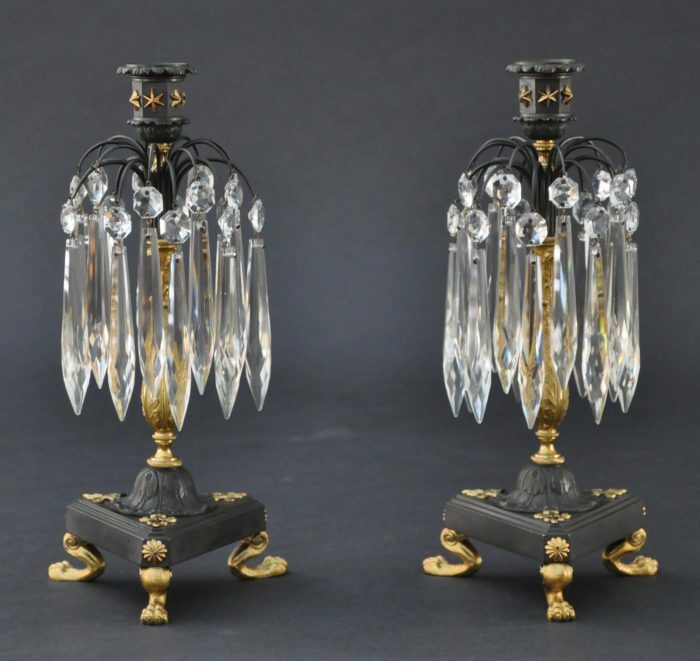 These early Regency candlesticks are presented in a patinated and gilt-lacquered finish. The hexagonal shaped candle cups are accented with star mounts. Wire prism holders display the glass on two levels. Slender foliate motifs compose the candlesticks’ standards. The three- sided bases stand on elongated animal feet while classical mounts adorn the surfaces.